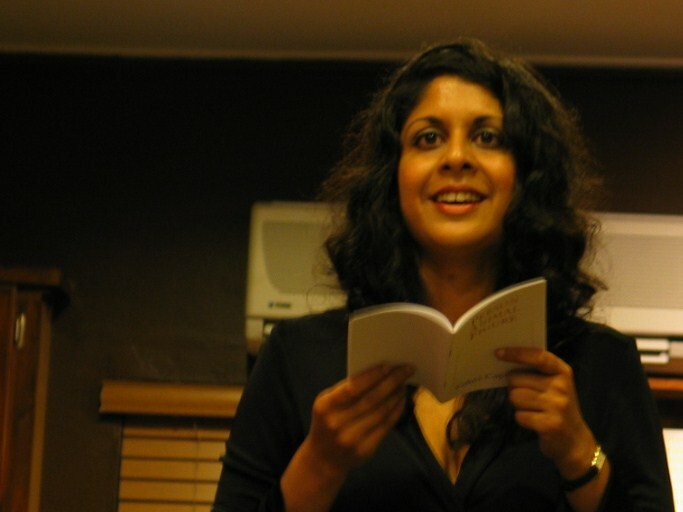 Vahni Capildeo (Trinidad; UK) writes both poetry and prose. Her poetry includes No Traveller Returns(Salt, 2003); Person Animal Figure (Landfill, 2005); The Undraining Sea (Egg Box, 2009); and Dark & Unaccustomed Words (Egg Box, 2012). Her prose has featured in Iain Sinclair’s London: City of Disappearances (Penguin, 2006) and Trinidad Noir (Akashic, 2008). Capildeo’s recent writing was inspired by her work for the Oxford English Dictionary. She currently volunteers for Oxfam and writes for the Caribbean Review of Books. You hear? She’s off again. Say I’ve been there too? new channels for strife and grief. yet not out of reach of heat? indeed you choose to keep them so? while seeing off each hour?